Szalai Nóri | 15. 08. 03. Remélem kellemesen telt a hétvégéd. Nekünk nagyon mozgalmas napjaink voltak, rengeteg nagyon szép helyen jártunk a barátainkkal. Most, hogy minden visszaállt a régi kerékvágásba, új témát is kezdünk, ami nem más, mint a farmgazdálkodás. Meg fogunk tanulni egy csomó kifejezést, lesz hanganyag és idiómák is. Nézzük is az első mai leckénket! Nowadays there are less and less people working on farms. Decades ago most farms were much smaller, and most farming was done with simple machines and horses. In the early 20th century farms were more diverse than today. Most farmers raised lots of different crops and cared for many varied animals. Farmers planted corn, oats, wheat and barley, and raised cattle and hogs. Women planted large gardens of potatoes, carrots, lettuce, beans and radishes. They also cared for chickens and sold eggs. 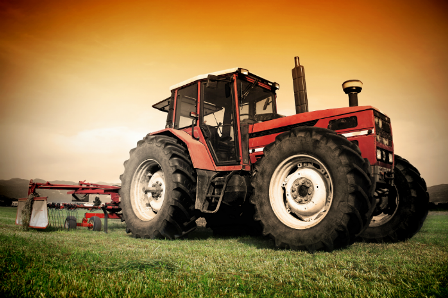 Throughout the 20th century, as machinery developed, farms began to grow bigger. As they got bigger, they also tended to become less diverse. Many farmers raised just corn and wheat. Others raised hogs or cattle with some field crops. As farms grew larger, many farmers moved off the farms their grandparents once occupied. More and more farm families are selling out to the large corporate farmers and are moving to town. Being a successful farmer today requires knowledge of advanced technology, educational preparation and business skills. Many farmers learn about the business and practice of agriculture through a training program at a college or university. There’s nothing prettier than a couple of chickens standing on the lawn in front of a farm house. But they are beneficial too as they eat all kinds of nasty insects and keep things neat and trim around the buildings and under trees. Plus, they provide you with eggs! On a farm, you have to get used to dust from the dirt roads, gravel roads, fields or animal lots. When it rains, the dust turns to mud, and it gets tracked into the house from boots and shoes. If you are fortunate enough to buy a farm with fruit trees already planted on it, you are in luck. Fruit trees take several years after planting before they begin to produce fruit. Fruit trees require a lot of maintenance too. They have to be pruned and sprayed regularly. They are, however, a good investment, especially if you plan on freezing or canning the fruit. Most farms are several kilometres from town and it wouldn’t be economical to drive to town daily. When grocery shopping, or shopping from other supplies, farmer have to plan ahead and buy for a week or two worth of supplies. In the long run it is a surprisingly good way to save money as a lot of spontaneous buying is eliminated this way.